Live In The Lounge: Francesca and The Paradigms - 27th April 2019!!! 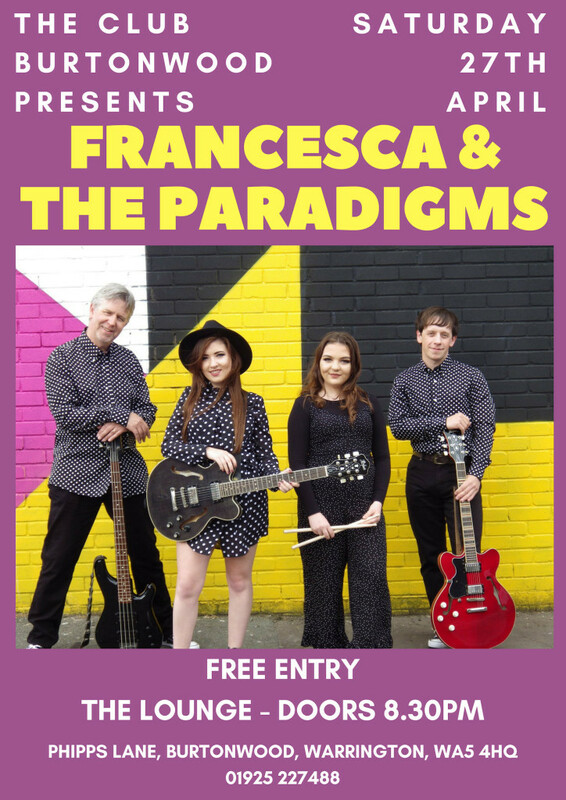 We're delighted to welcome the fantastic Francesca & The Paradigms to The Club, this 4 piece band play all the the hits from the 1950's and beyond. Make sure you join us for more brilliant live music!